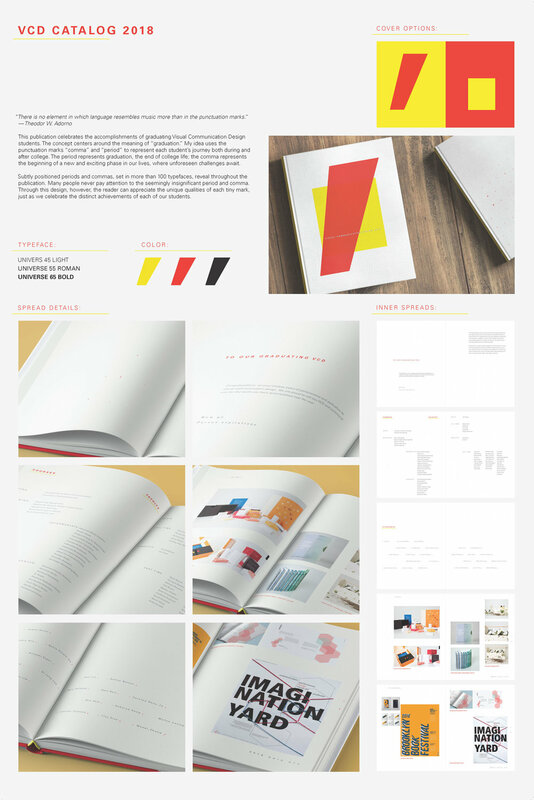 This publication celebrates the accomplishments of graduating Visual Communication Design students. 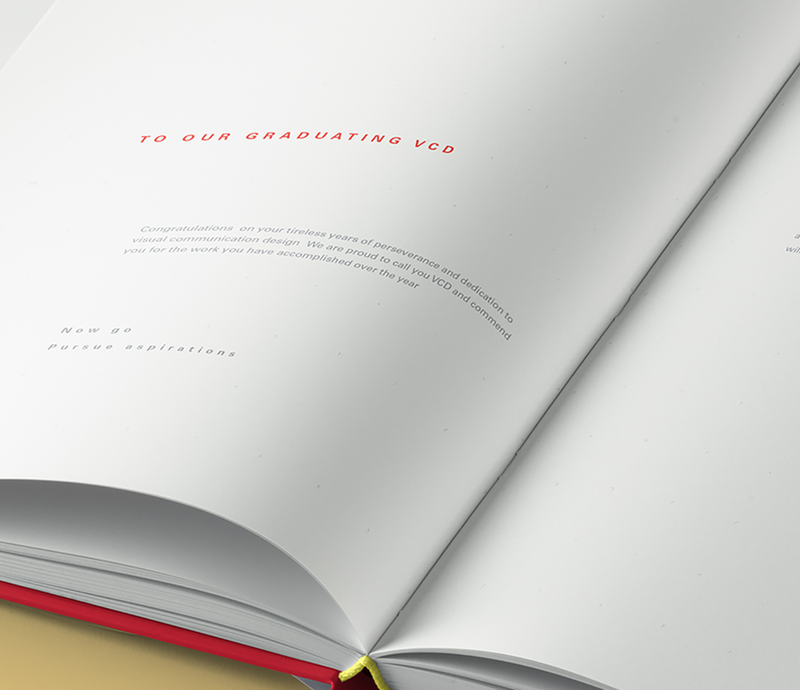 The concept centers around the meaning of “graduation.” My idea uses the punctuation marks “comma” and “period” to represent each student’s journey both during and after college. The period represents graduation, the end of college life; the comma represents the beginning of a new and exciting phase in our lives, where unforeseen challenges await.